Your kid has always been a cuddler. Ever since entering the world, they've had a lifetime of bedtime snuggles, bear hugs, and rainy days spent cozied up in a blanket fort, reading. When asked, "what do you want to be when you grow up?" your kid inevitably answers, "Professional cuddler." If cuddling were a sport, your kid could go pro. 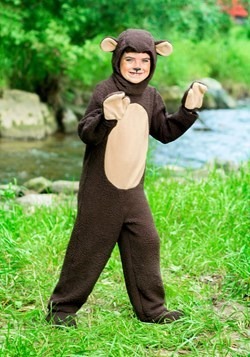 So we think this Deluxe Furry Brown Bear Costume may be fur-ociously appealing! 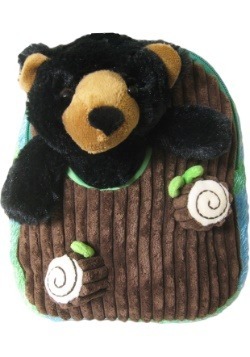 In it, your child can be cozy and feel fuzzy as they give hugs to all their friends! It will surely brighten everyone's day (including yours, no doubt!) when they see this beloved brown bear suit lumber into class. Of course, real bears are NOT cuddly, and it's important that you have that chat with your kiddo. We wouldn't want them trying to share their lunch or go in for a hug with a real bear, of course (and that's just the kind of sweet thing your kid would do). But letting them live up their lovable nature in this suit is a safe and surefire way to make their day and delight everyone around! 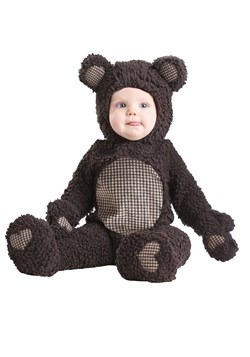 This premium bodysuit has a back zipper and little bear paw mitts that are sewn onto the sleeve cuffs. Don't worry—they can be folded back to free up the hands! The amazing hood is styled to look just like a sweet brown bear! 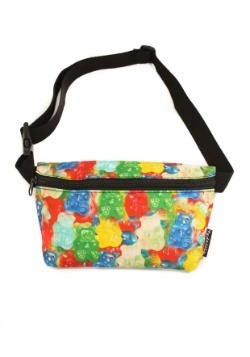 It has fabric lining and ears on top and fastens securely beneath the chin. But that's not all! 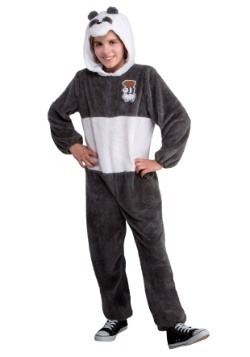 Human feet would totally run this cuddly guise, so this costume's got paw-styled slippers with anti-skid soles. 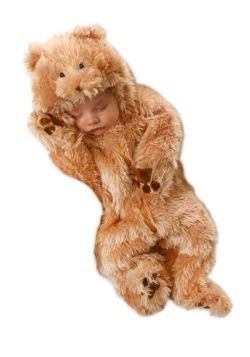 So even if the weather gets a bit grizzly, your child will be warm and cuddly in this costume all day long! 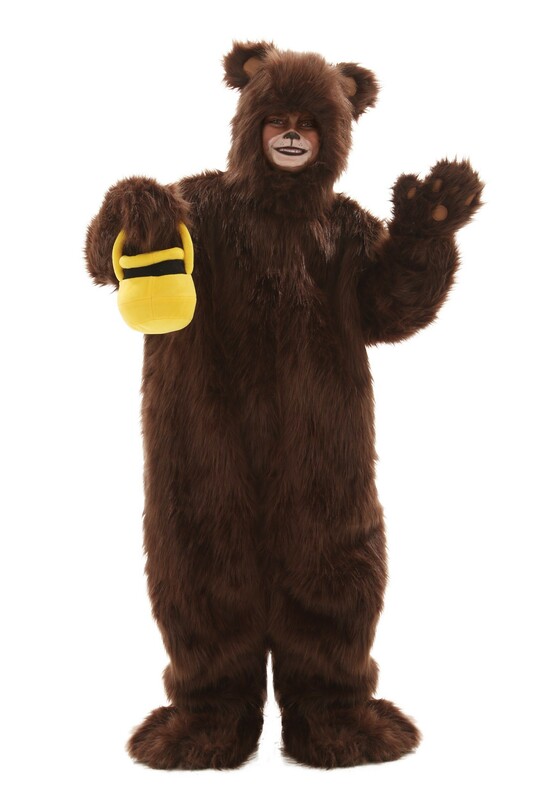 Feel free to accessorize with a honey pot or add a couple of friends dressed as other bears and a golden haired girl for a fun group costume! Don't forget, there are special steps to take and etiquette to observe when you encounter a real bear in the wild. 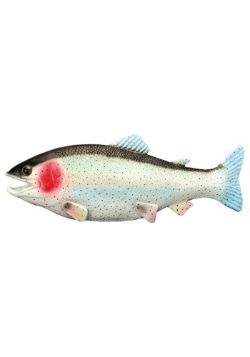 Don't approach it, don't feed it, and definitely do not run! Luckily, none of that applies here. 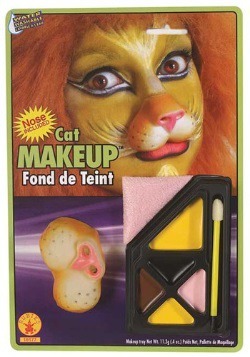 Feel free to run up and give your kiddo a squeeze the moment they get this on! It'll be hard not to.